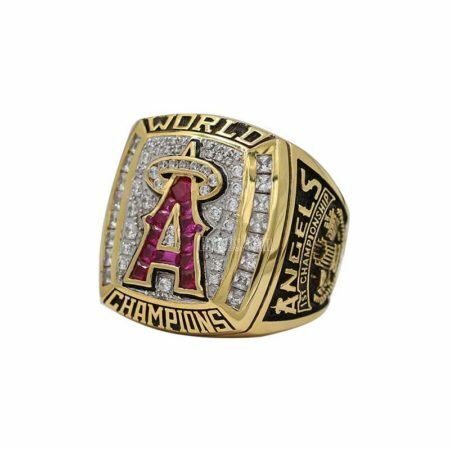 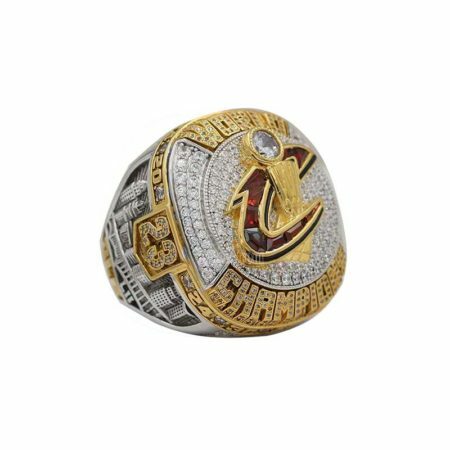 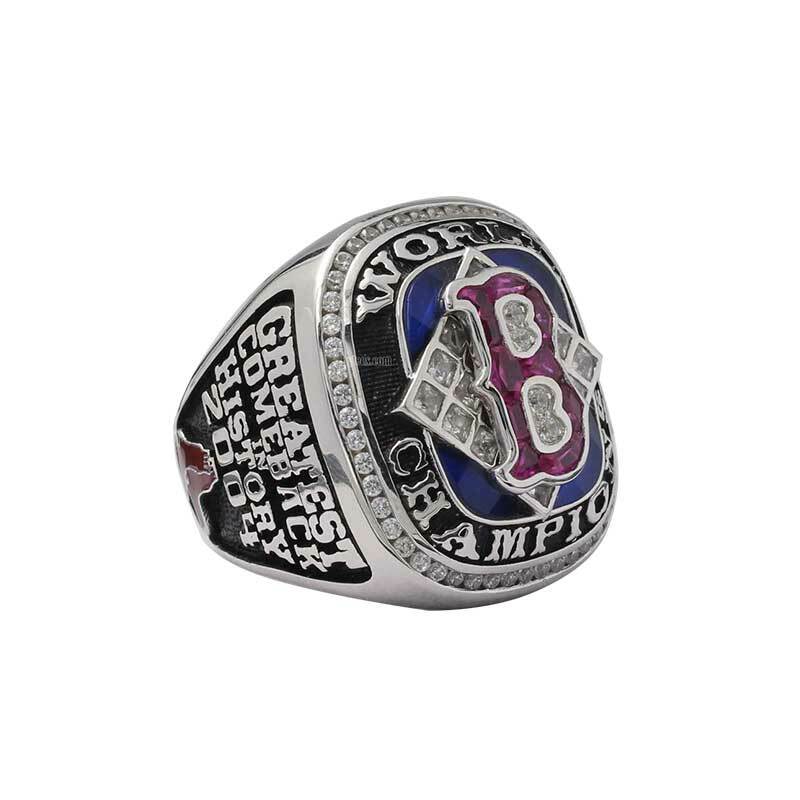 The 2004 Boston Red Sox World Series Championship Ring commemorates their historic comeback victory in MLB world series in 2004. 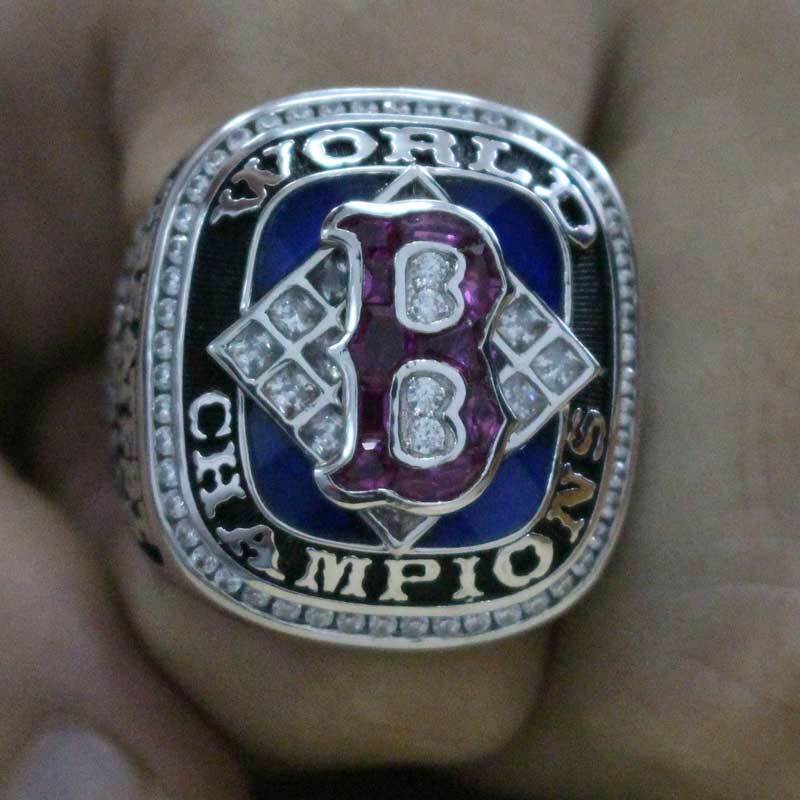 In this season, The Red Sox swept the stl Cardinals and won the 2004 world series ring. 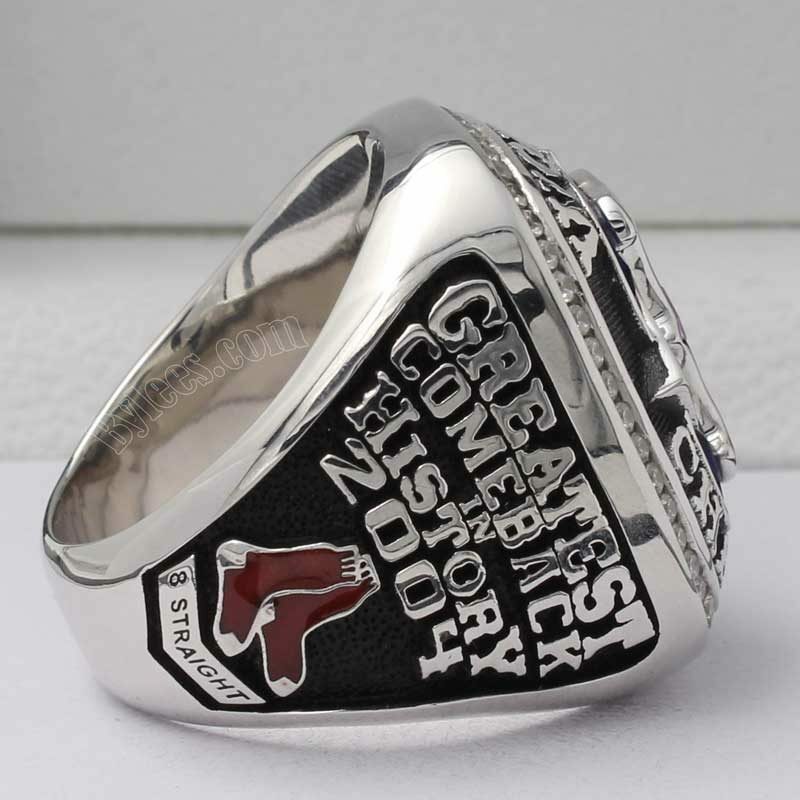 The most imortant thing for fans is, the 2004 Red Sox world Series ring broke Curse that spaned almost a century for Red Sox. 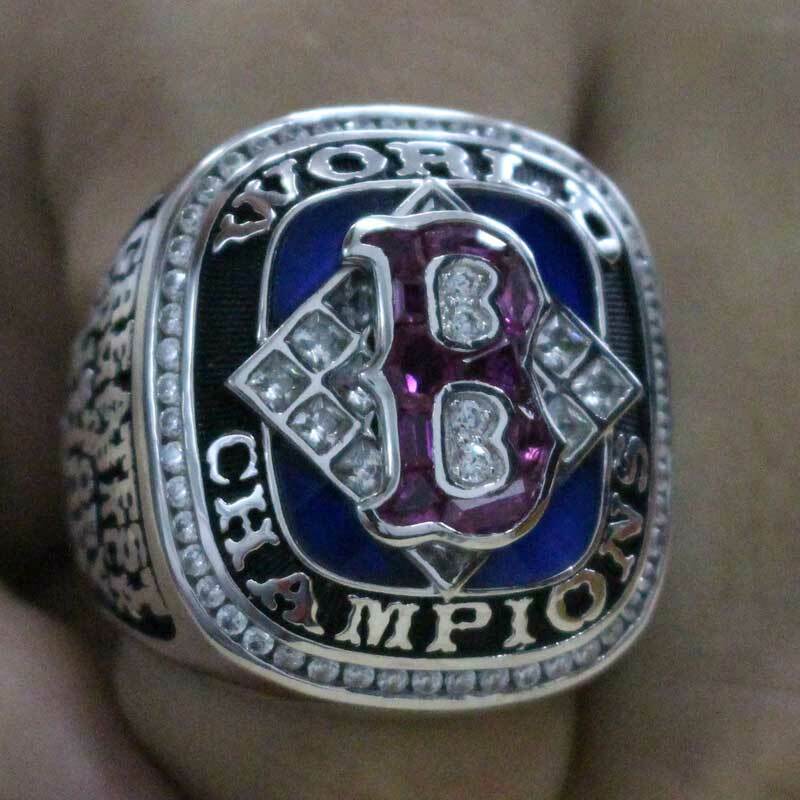 so the Boston Red Sox 2004 world Series Ring is rewarded as a lucky ring that bring success . 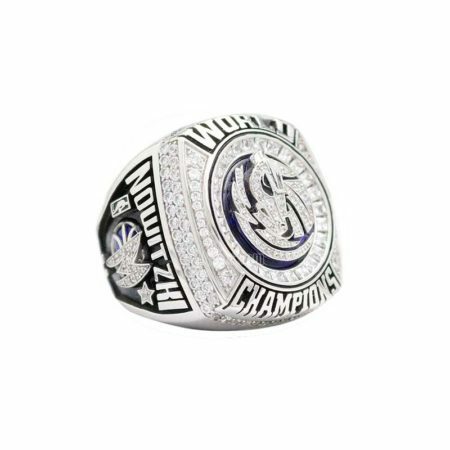 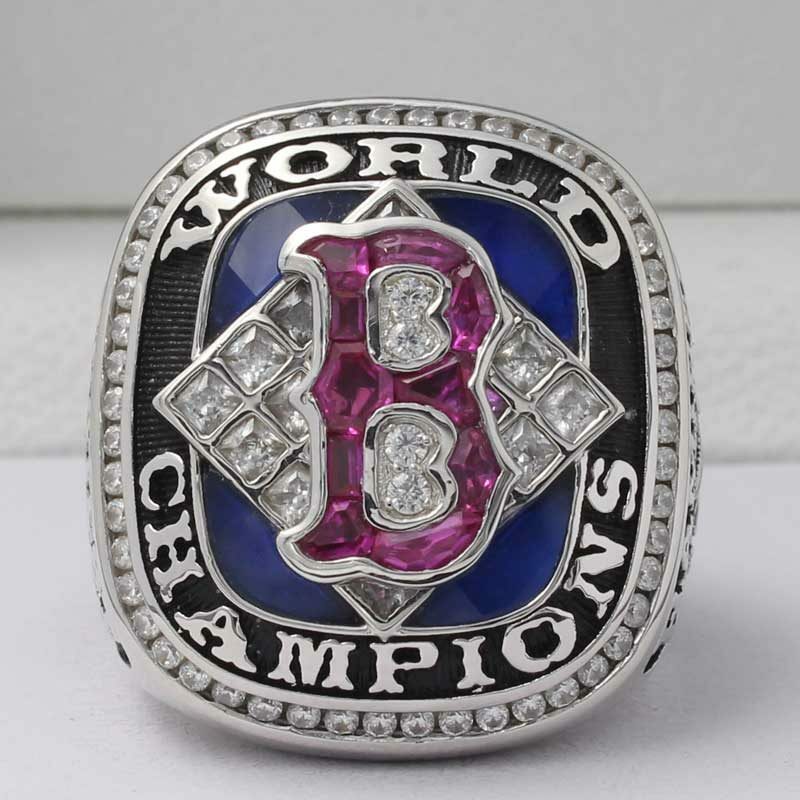 In the same year, the Boston got two major leagues baseball and football world championship rings. 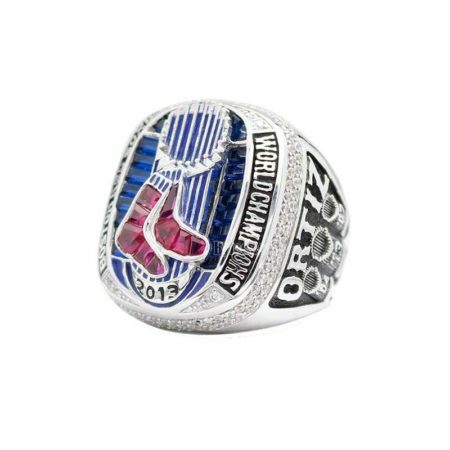 The authentic Red Sox 2004 world Series ring is a white gold world series ring, with Cap insignia on the top as usual. 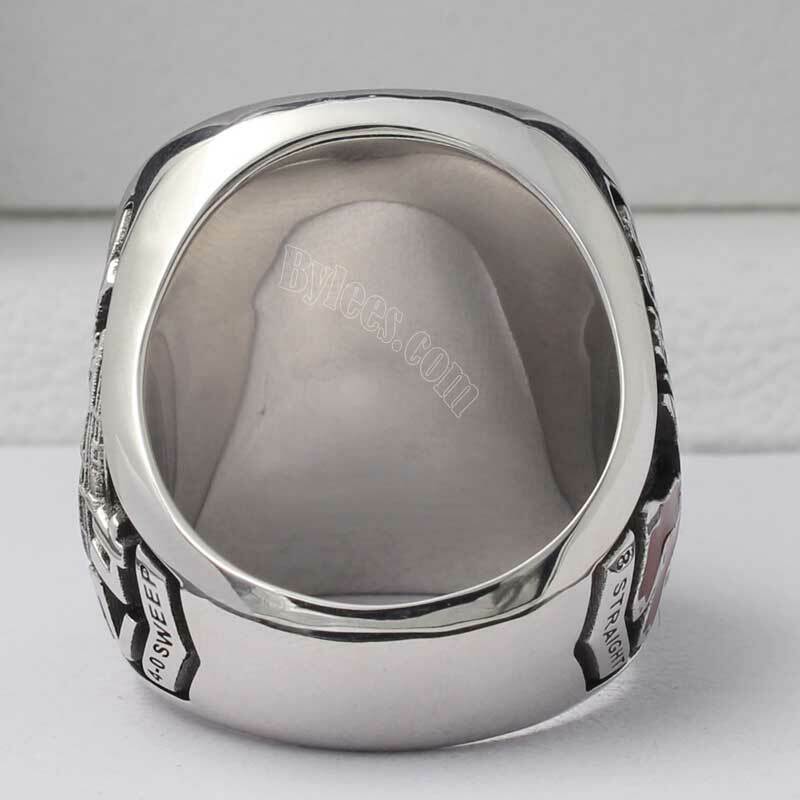 The design is so beautiful even without too much bling. 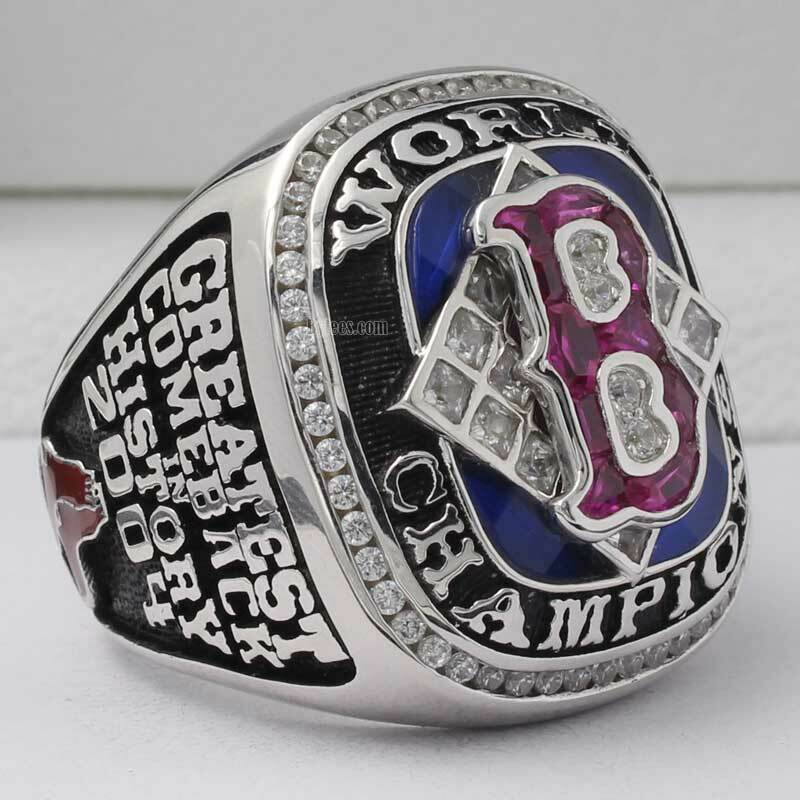 To be honest, this is one of the best Boston Red Sox Championship rings and one of the best world series rings untill now. 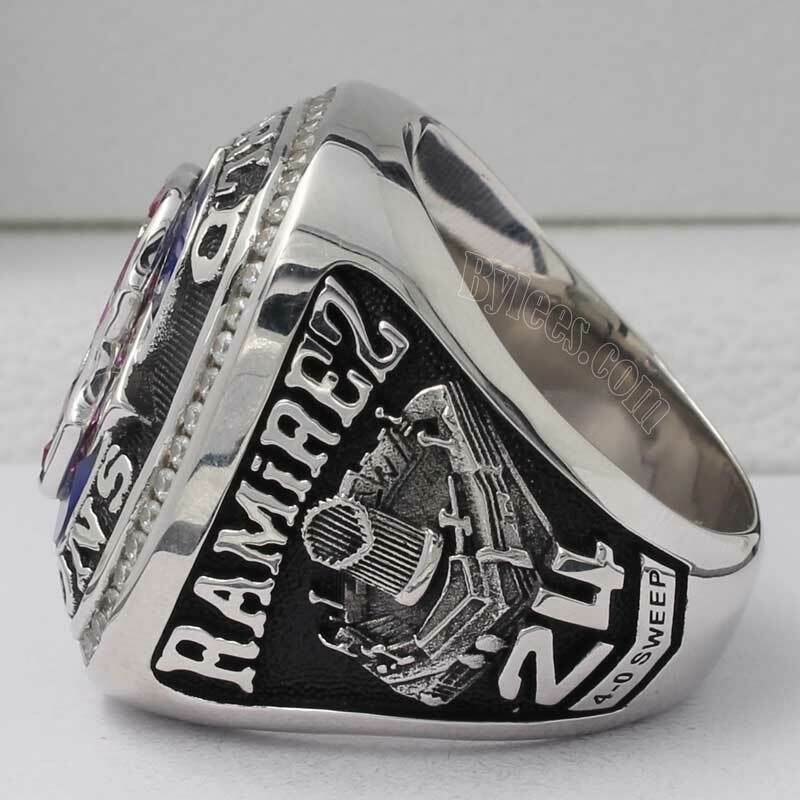 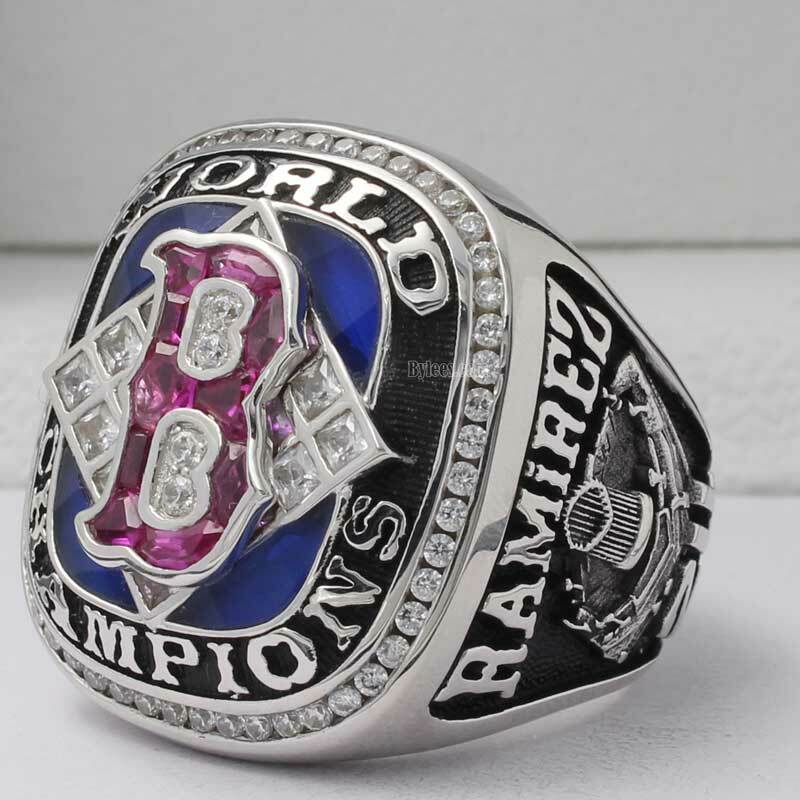 The Version here is the MLB MVP Manny Ramírez 2004 Red Sox world series ring.